SPIRITUAL JAZZ VOLUME 8 JAPAN: PARTS 1 AND 2. Spiritual Jazz Volume 8 Japan: Parts I and II. In 1998, Jazzman Gerald was one of a number of people who noticed that the demand for old jazz, funk and soul albums and singles was outstripping the supply, which meant that many record buyers were being priced out of the market. That was unless they were willing to purchase a bootleg copy of the album. However, many record buyers weren’t willing to buy bootlegs as the artist didn’t receive any royalties, and often the sound quality was extremely poor. Jazzman Gerald realising all this, knew that there had to be another way, and one day, decided to found his own record label, Jazzman Records. Jazzman Gerald’s plan was to reissue his favourite rarities legally on vinyl and whenever possible, involve the artist in the reissue, by having them tell their story of the album. Over the next ten years, Jazzman Records released many lovingly curated releases which allowed a new audience to discover jazz, funk and soul rarities. This continued in 2008 as Jazzman Records prepared to release the first instalment in a new compilation series Spiritual Jazz. This was Spiritual Jazz-Esoteric, Modal And Deep Jazz From The Underground 1968-77 which was released to critical acclaim in 2008. Little did anyone realise, and maybe not even Jazzman Gerald that this was the start of successful series that would still be going strong a decade later. Four years after the first instalment in the series, Spiritual Jazz Volume II-Europe and Spiritual Jazz 3-Europe were released to plaudits and praise. Spiritual Jazz Volume 4-Americans In Europe followed in 2013 and Spiritual Jazz 5-Esoteric, Modal And Deep Jazz From Around The World 1961-79 in 2014. Gerald Short a.k.a. Jazzman Gerald seemed to dig deeper than other compilers, and with every compilation continued to unearth hidden gems. That other was the case on 2015s Spiritual Jazz Volume 6-Vocals and especially 2017s Spiritual Jazz Volume 7-Islam which were both welcome additions to this wonderful series. What everyone wondered was where next for Jazzman Gerald on his musical odyssey? 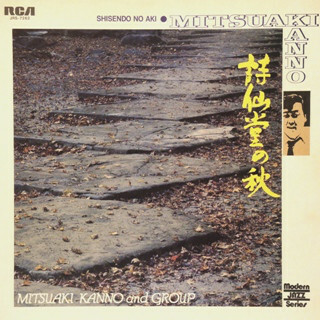 Opening disc one of Spiritual Jazz Volume 8 Japan: Parts I and II is Kumo No Ito, which is a track from Mitsuaki Kanno and Group’s 1973 debut album Shisendo No Aki which was released on RCA. Fittingly, the pianist, bandleader and composer opens this beautiful spiritual sounding, and later takes on a freer sound as this talented octet showcase their considerable skills. In 1977, the Tadao Hayashi Harp Trio released their debut album The Impossible Dream, on the Tokyo based Fontec label. One of the highlights of the album was a cover of My Favorite Things which opens side two of the album. The Tadao Hayashi Harp Trio reinvents the track with subtle drums allowing the harp to take centre-stage as the arrangement flows along. Sometimes, the tempo rises and falls, and occasionally the drums enjoy their moment in the sun, as the Tadao Hayashi Harp Trio take this familiar song in a new direction. 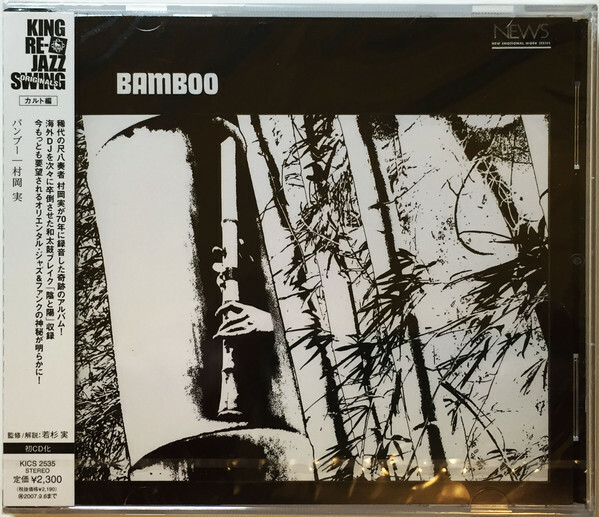 Shakuhachi player Minoru Muraoka was forty-six when he released Bamboo for United Artists Records in 1970. By then, he was an experienced musician who had been releasing albums since the mid-sixties. Bamboo featured cover versions of a number of familiar tracks including Take Five, And I Love Her and Do You Know The Way To San Jose. However, one of the highlights of Bamboo was The Positive And The Negative which veered between dreamy and elegiac to joyful. Thirty-eight year old jazz drummer Takeo Moriyama released his third album East Plants on the Vap label in November 1983. It opened with the slow burning East Plants, which has a ruminative sound before the track reveals its secrets. Gradually, an uplifting and celebratory sounding experimental track that is rhythmic and melodic unfolds, which is the highlight of Takeo Moriyama’s East Plants album. 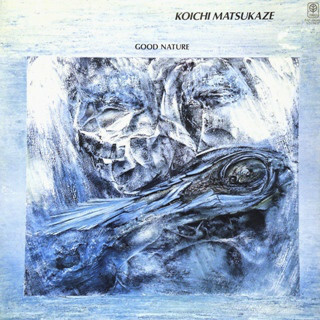 Saxophonist and flautist Koichi Matsukaze recorded what was his only solo album during three days in May 1981. This was Good Nature which was released on Trio Records later in 1981 an oft-overlooked album of free jazz and avant-garde jazz. It featured six Koichi Matsukaze compositions which are played by a talented quartet. Their finest moment is on Under Construction, where Koichi Matsukaze’s saxophone takes centre-stage as he plays with speed, power, fluidity and invention on this memorable and melodic track. A year after saxophonists Sadao Watanebe and Charlie Mariano released their eponymous debut album on Victor, they decided to reunite and record their sophomore We Got A New Bag which was released on the Takt Jazz label in 1968. It opens with Ragam Sinthubariravi where Eastern sounds and percussion accompany the saxophone on this atmospheric, dramatic and spiritual sounding track. Shungo Sawada started to play the guitar as a twelve-year-old, and by the time he was in his early twenties, he had founded his own band, Double Beats. This was the first of a number of groups he led over the next four decades. These groups released a number of albums between the mid-sixties and mid-eighties which sadly passed record buyers by. That is a great shame considering the quality of the saxophone led ballad Footprint which brings ensures that disc one of Spiritual Jazz Volume 8 Japan: Parts I and II closes on a high. 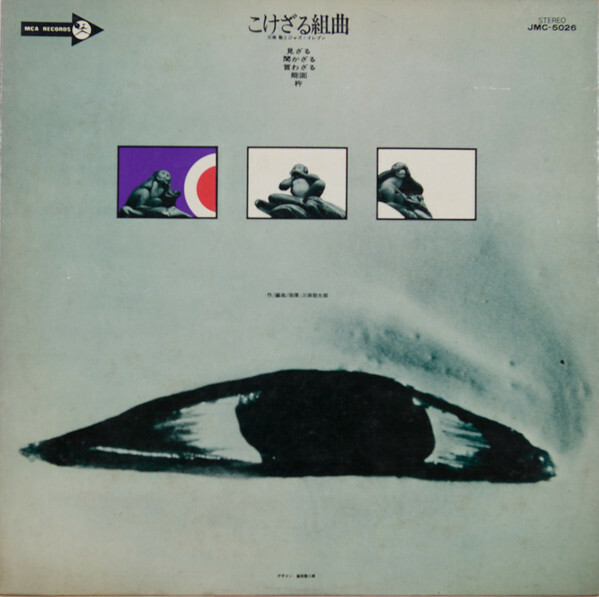 Disc two of Spiritual Jazz Volume 8 Japan: Parts I and II opens with New Direction For The Arts’ Sun In The East which is taken from their 1972 album Free Form Suite. 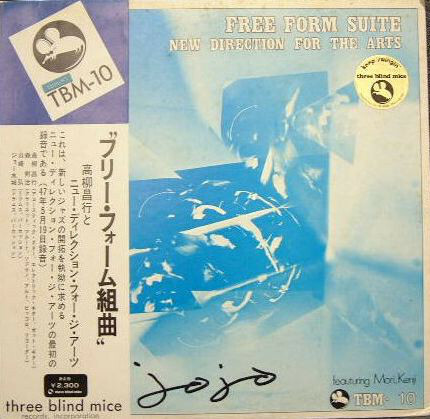 It was released on Takeshi Fujii’s independent jazz label Three Blind Mice and nowadays is a real rarity that changes hands for $200. No wonder, given the quality of Sun In The East which epitomises everything that is good about Japanese free jazz. Many artists have covered Scarborough Fair especially during the sixties folk boom, and in 1969 Four Units covered the song on their eponymous album for Union Records. Initially, Four Units stay true to the original song, before stretching it and transforming it as they improvise and innovate taking it in a new direction. In doing so, what was once a musical ugly duckling is transformed into a swan, thanks to Four Units who reimagine and reinvent this familiar track. One of the rarest albums in the history of Japanese jazz is Tachibana Volume 1 which was released by the Tohru Aizawa Quartet in 1975. It was a private press released which was funded by hotelier Jiro Tachibana, who spared no expenses during the recording of the album. Tachibana Volume 1 was recorded at a hall owned by Jiro Tachibana, who had paid for the best equipment, top musicians and a top recording engineer to record the album. They recorded five tracks, including Sacrament which is an intense, powerful and sometimes fluid example of spiritual jazz. It’s one of the highlights of Tachibana Volume 1 which after its release in 1975, Jiro Tachibana used the album his business card. 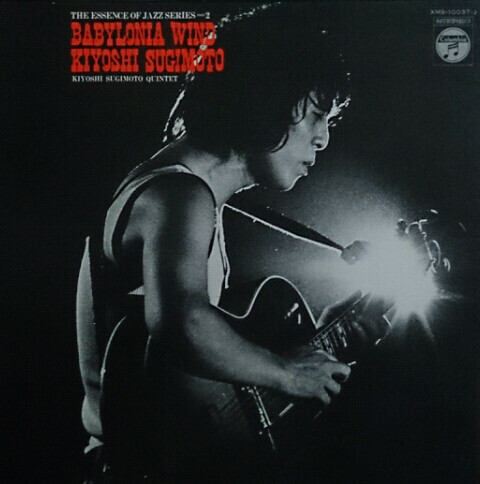 Takashi Miho and Jazz Eleven released the album Kokezaru Kumikyoku on MCA Records in 1971. It featured Kikazaru Takashi where Miho and Jazz Eleven seamlessly combine elements of funk, fusion and avant-garde to create a truly groundbreaking and memorable track. It’s best described as scorching, über funky and “groovy” track that ebbs and flows allowing room for a vocal that veers between ethereal and haunting and is one of the highlights of Spiritual Jazz Volume 8 Japan: Parts I and II. In 1977, Japanese fusion septet Tee and Company released their third album Spanish Flower on the Three Blind Mice label. It featured just two lengthy tracks including Spanish Flower a nineteen minute epic where Tee and Company stretch their legs and showcase their talent and versatility. 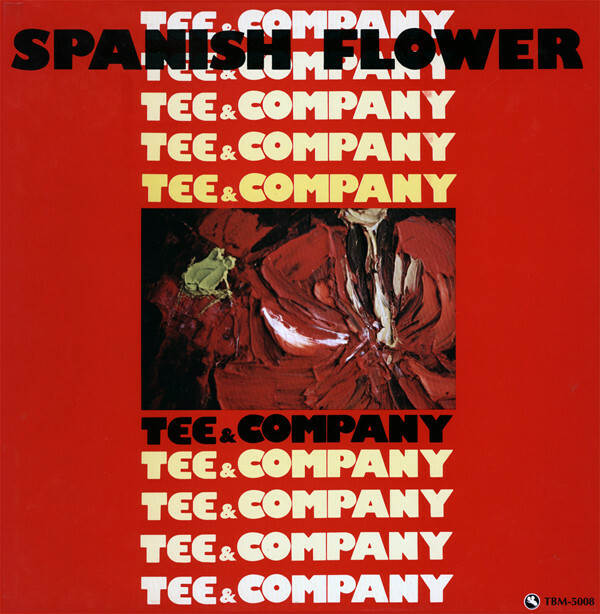 Sadly, original copies of Spanish Flower which was Tee and Company’s finest hour are an incredibly rare and can cost up to $100. Although jazz drummer Takeo Moriyama’s made his recording debut as a sideman in the late-sixties, it wasn’t until 1981 that the thirty-six year old released his debut album Smile on the Denon label. It featured Watarase, which is seven minutes joyous modal jazz that is sure to make the listener Smile. Babylonia Wind which was released on Columbia in 1972 was the debut album by the Kiyoshi Sugimoto Quintet album. Sadly, it was another album that passed the majority of record buyers by, and they missed out on music of the quality of the title-track Babylonia Wind which opens the albums. What follows is eleven minutes of spellbinding music where bandleader Kiyoshi Sugimoto delivers a flawless fleet fingered guitar solo. Japanese-American jazz pianist, composer, arranger and bandleader Toshiko Akiyoshi was born in 1929, and released her debut album Toshiko’s Piano in 1954. This was the start of a long and successful recording career for Toshiko Akiyoshi, who was nominated for fourteen Grammy Awards. Nowadays, Toshiko Akiyoshi is one of the famous and influential Japanese jazz musicians. That is why it’s so fitting that Kisarazu Zinku has been included on the compilation and hopefully, will introduce a new generation of to a legend of Japanese jazz Toshiko Akiyoshi. 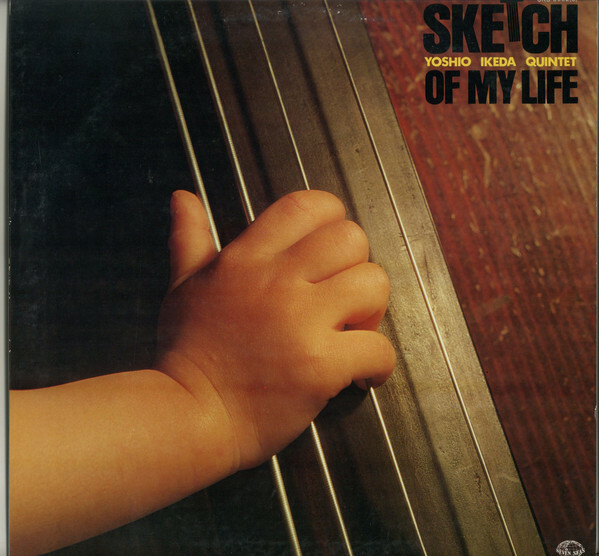 Spiritual Jazz Volume 8 Japan: Parts I and II closes with Yoshio Ikeda Whispering Weeds which opened his 1978 album Sketch Of My Life which was released on the Seven Seas label. Initially, it’s a melancholy and rueful sounding track before becoming cinematic as the tempo rises and the Suetoshi Shimizu unleashes a tenor saxophone solo that takes centre-stage. 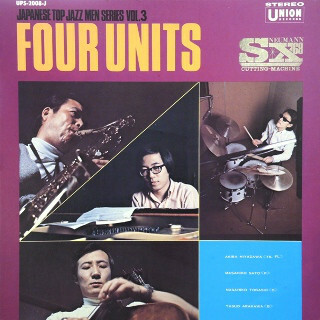 Bandleader and bassist Yoshio Ikeda is part of the rhythm section and helps drive the arrangement along as the compilation closes on a resounding high. It’s not often a compilation series is still going strong after eight volumes, but that is the case with the Spiritual Jazz series. Spiritual Jazz Volume 8 Japan: Parts I and II features fifteen tracks which are described as: “Esoteric, Modal And Progressive Jazz From Japan: 1961-1983.” They’re also of the highest quality, just like previous instalments in the series. There’s a reason for that, and that is Jazzman Gerald continues to dig deeper than other compilers of jazz compilations. In doing so, he’s unearthed a myriad of hidden gems which will be new to many jazz fans. Sadly, many of the hidden gems on Spiritual Jazz Volume 8 Japan: Parts I and II are taken from albums that failed to find an audience when they were originally released. It was only later these albums came to the attention of collectors, and with demand outstripping supply, the prices of J-Jazz shot up like Bitcoin. As a result, many of albums these tracks are taken from are impossible to find, and when they do change hands it’s for ever-increasing sums of money. Fortunately, Jazzman Gerald has chosen fifteen examples of: “Esoteric, Modal And Progressive Jazz From Japan: 1961-1983” and they feature on Spiritual Jazz Volume 8 Japan: Parts I and II, which was recently released by Jazzman Records. 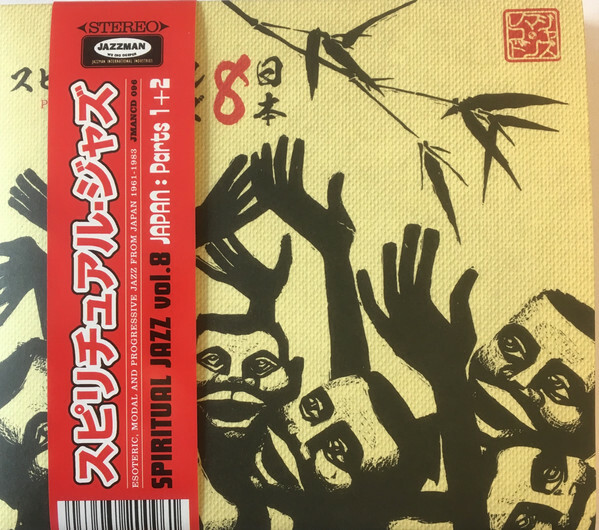 Spiritual Jazz Volume 8 Japan: Parts I and II is the latest instalment in the long-running and successful Spiritual Jazz series, and is the perfect introduction to Japanese jazz. Indeed, Spiritual Jazz Volume 8 Japan: Parts I and II is the perfect companion to BBE Music’s J Jazz: Deep Modern Jazz From Japan 1969-1984, and these two albums will give newcomers to a tantalising taste of all that is good about Japanese jazz, including the esoteric, modal, modern and progressive. ← JIMI HENDRIX-BOTH SIDES OF THE SKY.